The filmy dome spider is one of the most abundant woodland spiders in Missouri. The snare web of this tiny spider like an upside-down silk bowl. 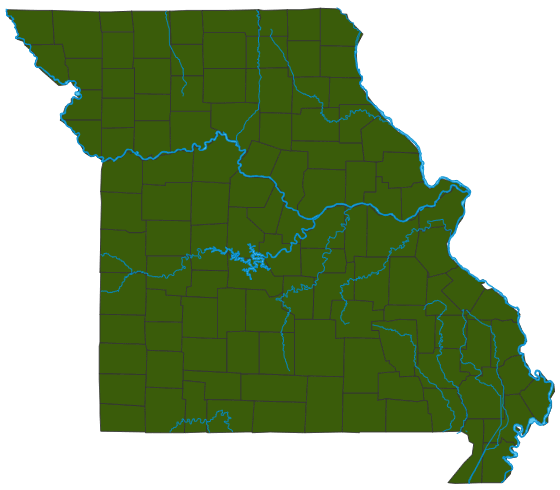 The filmy dome spider is one of the most abundant woodland spiders in Missouri. Although the spider is tiny, its snare web, which looks like an upside-down silk bowl, is conspicuous throughout the year. The carapace (head) of this spider is marked with a broad, dark brown middle band with white outer margins. The yellowish-white abdomen is wide and high at the back end, with distinctive mottled brown markings. Length: between 1/8 and 1/4 of an inch (not counting legs). Commonly found in woodlands and woodland edges and in dense, low vegetation around houses. The webs are abundant in rock outcroppings, walls, wood piles, and low, dense brush in woodlands. They are rarely found in open areas. Tiny predators eat tiny prey. This species eats small insects, such as mosquitoes and gnats, that get caught in their webs. The web is positioned horizontally, and the spider rests on the underside of the web. When an insect lands on the web, the spider quickly tears a hole in the web from beneath and pulls the insect down and ties it up. Hiding under the web helps the spider to avoid predation. It would be easy to dismiss the importance of these tiny predators, but once you have been plagued by the tiny insects they prey on, such as gnats and mosquitoes, you become thankful for their role in limiting such insects. Spiders are little predators that help to control populations of the insects they capture. Being small themselves, they easily fall prey to larger predators such as birds, reptiles, and mammals. Many animals eat their eggs. Hummingbirds steal webs from spiders in order to build their own nests.